Oh, Jess Mariano. How you filled my early '00s life with pure glee and heart eyes. When Milo Ventimiglia was a regular on Gilmore Girls, I was in love with his dark hair and eyes, his crooked smile, and the fact that he was mysterious. Now, as an adult, I recognize that theese traits in men have usually ended terribly for me, but you know what, a girl can still dream. 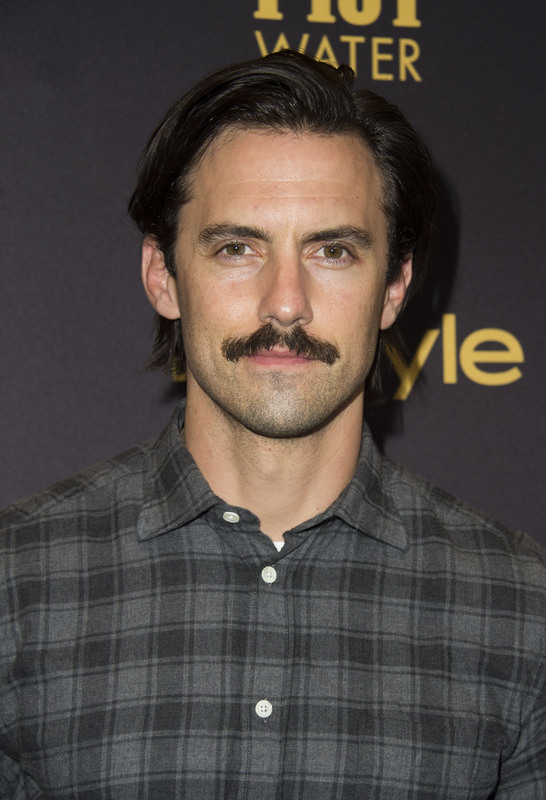 With Ventimiglia returning to the screen with his starring role on This Is Us and his scenes in Gilmore Girls: A Year In The Life, I grew curious about Milo Ventimiglia's dating life once again. Shockingly enough, these days Ventimiglia is single, and he has never married, but he seems to be doing just fine with his career and has a practical outlook on love. He told E! recently, "Be yourself. If you guys click — great. If you don't, it's OK. You're not supposed to be with one another." But while it looks like he is currently single, we can still take a look at who Ventimiglia has dated in the past. When he was in peak heartthrob mode in the early '00s, I remember many a teen magazine cover discussing his love life, because... just look at him. Back then, I think I liked to live on the "ignorance is bliss" side of the things, because trying to cope with the fact that I would probably never date him was even more heartbreaking. But now, it's time to dive in. Here are some of the women Ventimiglia has dated — or been rumored to date — over the years. Gilmore Girls was Ventimiglia's breakout TV role, and along with boosting his career, he also got himself a girlfriend. Back in 2001, he was cast as Rory Gilmore's bad boy boyfriend, Jess Mariano, and soon after, he and Bledel started dating offscreen. In 2006, after three and a half years of dating, Ventimiglia and Bledel broke up. Ventimiglia seemed to have a thing for co-stars, because in 2007, People reported that Heroes stars Ventimiglia and Panettiere were dating. People wrote that the couple were first spotted being cozy at the Emmys in September of that year. Their romance ended in early 2009, and their age difference was cited as an issue by a source who spoke with People, as they had a 12-year age gap. In September 2009, Ventimiglia was rumored to be dating Jaimie Alexander. In 2010, Alexander appeared in his MSN series, Ultradome. It's hard to know if anything romantic actually happened between them, but based on more recent banter through their Twitter accounts, Ventimiglia and Alexander are still friends. In 2009, Ventimiglia was spotted with Isabella Brewster, sister of actor Jordana Brewster. In February 2010, the pair was seen at Disneyland, but then two years later, Brewster was reported to be dating Russell Brand, so the coupling of Brewster and Ventimiglia must have been fairly short-lived. While Ventimiglia has had his ups and down in love, I have no doubt that he will find himself the right lady... even if it's not me.